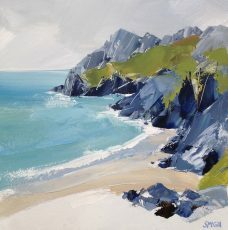 Artist Sian McGill was born in Wales on St.David’s Day in 1973. 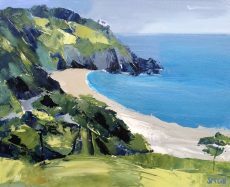 Although she studied English at Swansea University, her first love was always painting. 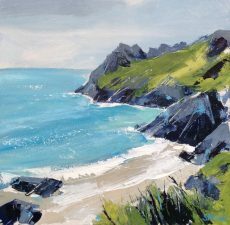 After graduation Sian’s determination to establish herself as an artist soon brought commercial success. 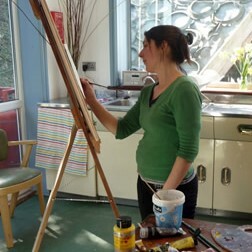 Sian now combines her successful full-time career as a painter with bringing up her young family. 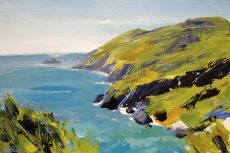 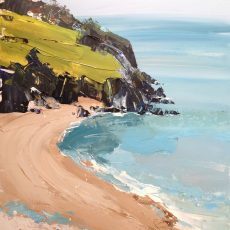 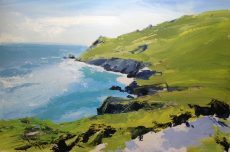 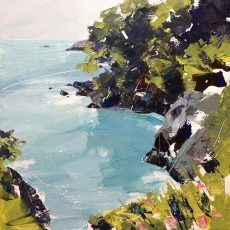 Sian’s latest work features some of the most beautiful locations around the South Hams. 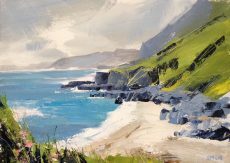 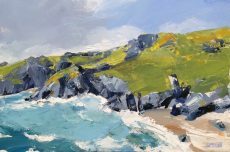 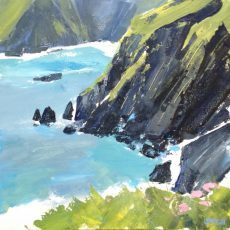 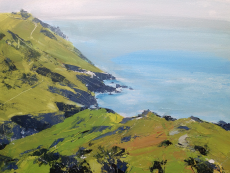 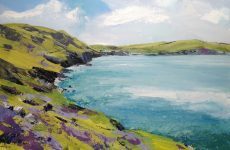 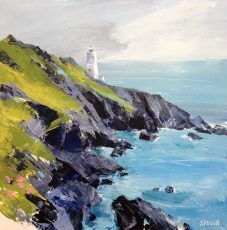 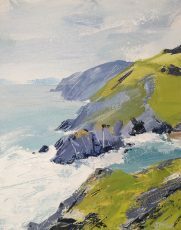 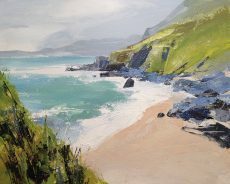 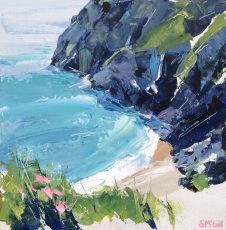 Sian brilliantly captures the rugged beauty of our coast by using a limited palette of bright colours. 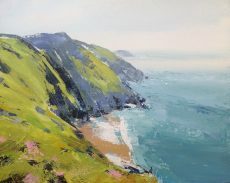 Look closely at her work and you’ll be transported to your favourite cove or cliff-top. 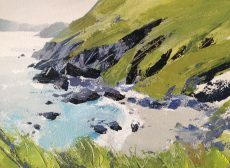 Sian frames each painting in a simple tray frame with a wide mount and a soft grey moulding. 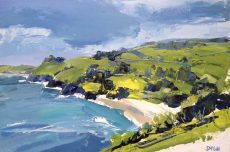 They look fabulous hung in any contemporary interior. 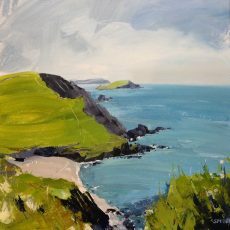 Join our mailing list using the link below for updates on new work from Sian. 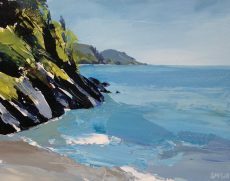 Our Winter show this year will feature a further new collection by Sian.